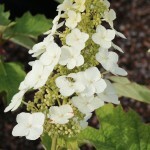 An upright, coarse textured shrub with 8" long panicles of white blooms in early summer. 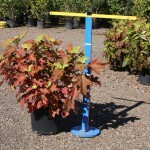 Flowers age to pink and are held more upright than other cultivars. 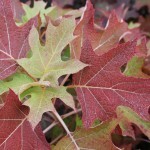 The oak-leafed shaped foliage turns red-bronze in the fall. 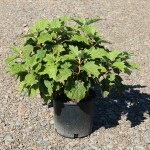 Grow in full sun to part shade in a medium moisture, well-drained soil. The flowers develop on older wood.